It's been a while hasn't it? Not a lot of news upfront about CBL or China baseball in general, but a lot of buzz going around lately about the Premier 12 tournament. China isn't even in the top 12 in WBSC rankings, but I'll still cover it. Anyway, let me introduce to you one of the hottest amateur teams in Chengdu. 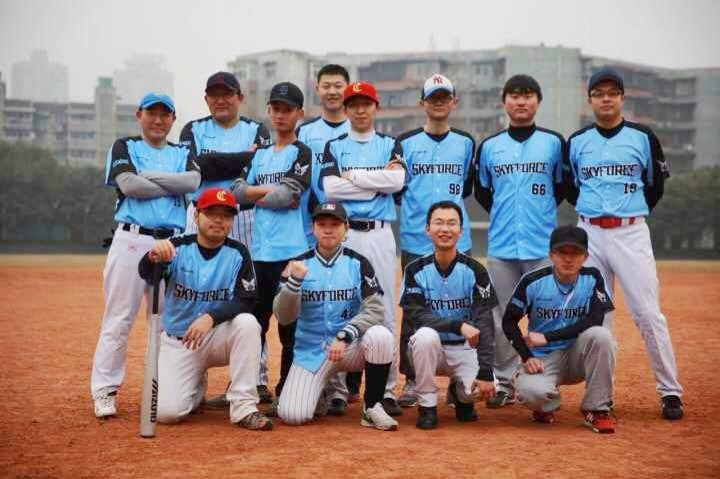 Meet the Chengdu Skyforce Baseball Club 成都天空棒球队! What else is there to do in Chengdu? Pandas! The city is famous for pandas, so you can enjoy watching them sleep or eat bamboos (too cute). If you're a guy and you don't like pandas, Chengdu is ranked one of the top cities in China with the most beauties. Just make sure to control your nose bleeds! It's still early in the year, so I wouldn't expect much baseball announcements from China. Just a couple of more months until baseball season! Thanks for reading and have a great day!